You know that friend of yours -- the one with no job and the uncannily handsome boyfriend -- who’s been on vacation for the last three years? That Instagram one? Well now, thanks to an app called easyJet, you can also cosplay as the influencer you never were by booking flights instantly through Instagram screenshots. Once you've fixated on a particularly wanderlusty gram (think: girl in a statement hat riding a very handsome camel through a dessert palace that's also a speakeasy), you can upload that image right to easyJet. The airfare booking hub’s new feature, Look&Book, will identify the pictured destination (bless you, geolocation tagging), before compiling a list of suggested dates and potential plane tickets at the best possible price points. All you need to do is locate an uncannily handsome boyfriend with moderate-to-good photography skills for your future travel-grams. Just like the old travel proverb says, pics or didn’t happen. 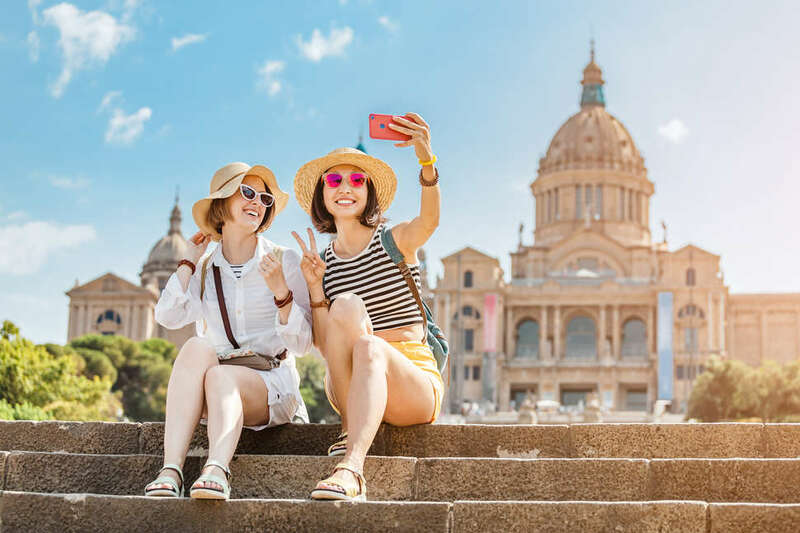 When you start booking, keep in mind the fact that easyJet only services airports in Europe, Iceland, and Northern Africa -- so be sure to unfollow any active Instagram users who frequent other destinations. And while the convenient Instagram-to-airfare pipeline takes its cues from social media celebs, remember that snagging a flight through Look&Book will not guarantee you influencer status -- so don’t quit your job just yet. Eliza Dumais is not an influencer, but you should follow her anyway.